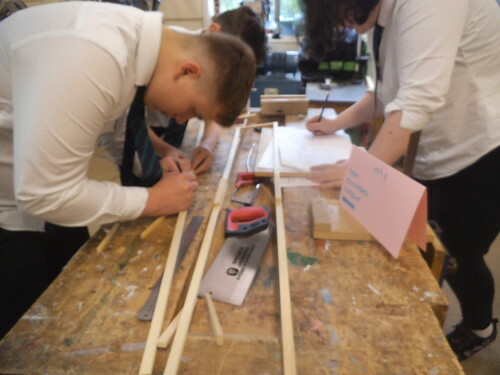 S2 pupils had an inter house bridge building competition. 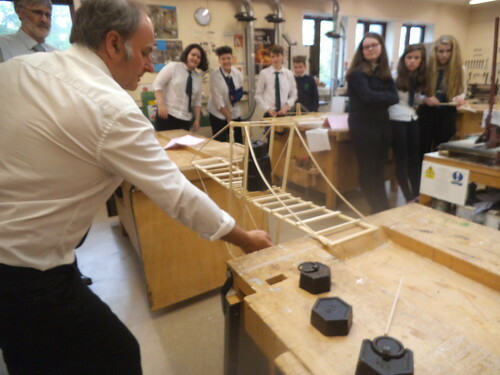 This event provides an opportunity for pupils to gain an insight into practical engineering and construction. There are lots of pictures on Flickr. The challenge is to design and build a wooden bridge to span 1000mm which will carry the maximum load for minimum cost. 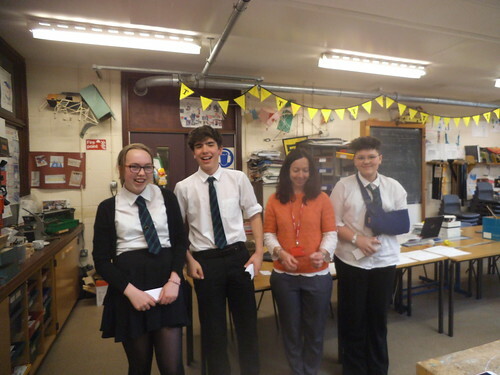 There were 3 prizes, the best bridge design, best team work and the most cost effective solution. Maree were the winners in all 3 categories, well done! Thanks to Angela Rae our STEM ambassador for helping out on the day.